Whether you're looking for new PVCu, A rated windows & conservatory or a new high security composite door with anti snap locks, we offer our customers a free quotation. We offer you a wide range of windows and doors.Every project we undertake are completed to the highest standards. 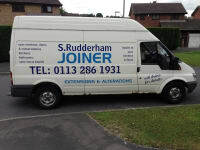 At S.Rudderham Joinery, we supply and fit your replacement windows and doors for your home, at affordable prices. Simon did an excellent job fitting 8 internal doors over 2 days. His quality of work is second to none. Simon arrived on time, made sure the floors had dust sheets down, worked diligently all day and was friendly and professional. Definitely recommended. We employed Simon to create a kitchen diner in our large dining room and make a utility out of the small kitchen in a Victorian terrace. Simon worked from the original Howdens design but used his skill and experience to make suggestions, alterations and improvements as needed and we have ended up with the most wonderful job done. Simon uses other tradesmen as necessary for specialised skills, ie electrics, plastering but all have worked to Simons high standard. 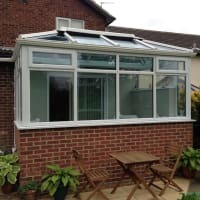 Simon dealt with problems encountered with the age and construction of the house in a calm and methodical manner and gave us costs and options as we needed them when theses were encountered. 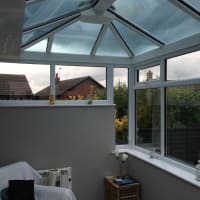 I would not hesitate to recommend Simon to anyone needing similar work done and my wife and I are absolutely delighted with our "new home"
Simon recently stripped out our old kitchen and installed a new one. As we have a relatively small galley type kitchen Simon advised us what could be done ( or not ) utilising his past experiences on this type of project. 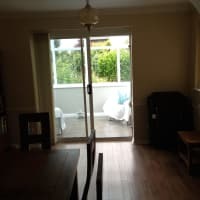 Suffice it to say the finished kitchen is absolutely brilliant and we would have no hesitation in recommending Simon to other would be customers. His work and attention to detail is first class.